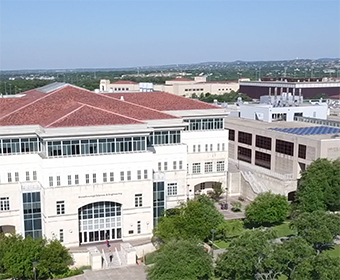 This academic year we’ve been busy rolling out the next set of strategic initiatives to get UTSA closer to our destinations as a great research university, model for student success and exemplar for strategic growth and innovative excellence. You’ve probably sensed some excitement surrounding our higher profile projects, such as the new School of Data Science, Roadrunner Village, Roadrunner Athletics Center of Excellence, Residential Honors College and Classroom to Career initiative, just to name a few. But you should also know that there is a solid framework underpinning all these initiatives, as delineated in our 2018-19 Strategic Implementation Plan. This plan is organic, it will be updated annually and tied to our ongoing campus conversations. For those of you who love taking deep dives into strategic planning processes, you will note it defines UTSA’s institutional key performance indicators (KPIs) and identifies associated targets. It also provides an overview of stakeholder input leading to the plan’s development, outlines our 2018-19 initiatives and shows how these initiatives drive us toward our KPI targets. We have also done some revamping of our strategic planning website to make information easier to find, and to include regular updates on each initiative page. If you’re ever curious about the status or latest developments regarding our initiatives—or the details regarding our overall strategic planning process—this site is your go-to resource. I hope this “big picture” view is helpful as we work together to transform UTSA into San Antonio’s university of the future. Please know that each of you is playing a critical role in bringing us closer to our destinations, and I couldn’t be more grateful for your dedication to UTSA.